This week Director Don Starnes has been meeting with our wonderful editor, Rick LeCompte to bring PBDG to life! 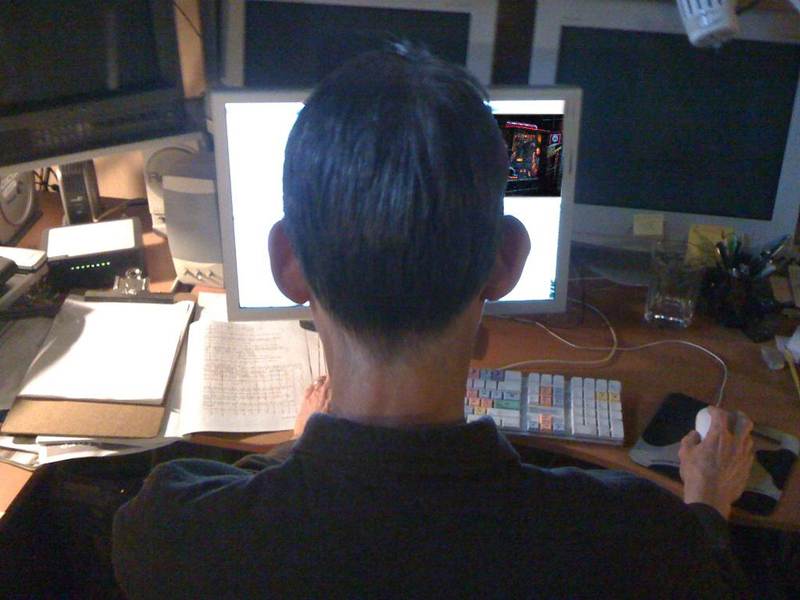 Posters from some of Rick’s other indie films hang in the background of his studio. 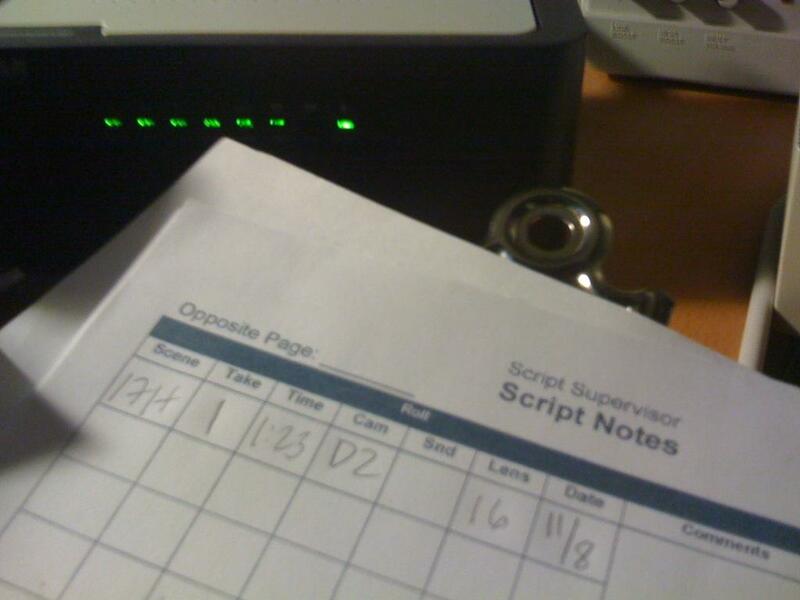 Some people say editing is the final re-write of the script. I agree. 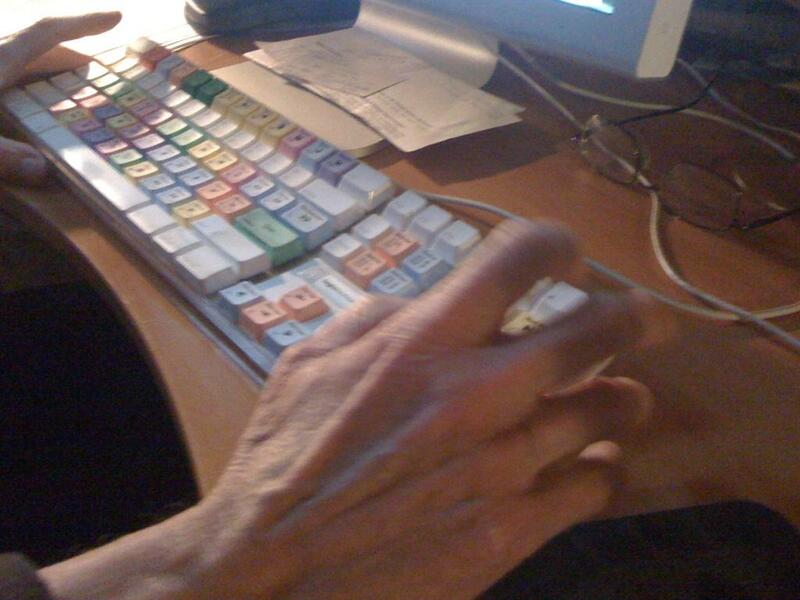 Rick is editing PBDG with Final Cut Pro, and he uses a logickeyboard. I’ve gotten to try one of these recently and wow, what a difference it makes. Who knew? That’s great, Anna, you’re saying. But when do we get to SEE IT? We still have to do sound and mixdown after we lock the picture, but I should have a trailer before Pinburgh. More exciting news about Pinburgh next week! This entry was posted in Crew, News and tagged film, indie films, pinball by Anna Newman. Bookmark the permalink.